Use COM for game engine? Can depth peeling be implemented without any shader? I don't know shaders, but I have a basic idea of their concept. I need to implement depth peeling and so I would like to know if first I should go deeper into the shader world or it could be implemented without shaders, just using smartly the glDepthFunc..
I`m working on a project where there is a massive amount of library/engine files being used from the last project. In quite a few there are crazily long if-else and even nested trailing if-else statements making some changes hard to debug and sometimes it`s hard to see where the missing curly bracket is on compiling errors. So I`d like to know about some valid alternatives. Obviously there`s the switch statement, but that would also get unmanageable by being overly long and nested too. I was thinking of arrays of function pointers indexed by case, but in a non-deterministic program surely this would cause program execution to jump all over the place and was wondering on the impact on performance. Is it more safe to set value for all values of the enum or the default value is safe ? Is it possible to safely use sizeof to serialize an enum ? All works for class who doesn't have pointer but if the class has a pointer like a string, I have a crash. Is it because the pointer who is an array of data who is undefined-size, the "operator =" needs to be called ? Hello, I'm in doubt about which method should I use to render my terrain. - My game came is like Diablo, torchlight type so I dont need to worry about LOD or anything like it. - Currently I divide my terrain into 9 parts, each part is divided using a quad tree, rendering only what I can see. - Im using a 128x128 heightmap for each terrain which occupies an area of ​​64 game units. - Each terrain has it own textures, up to 8, and 2 alpha maps (so I can "paint" the map). 1) Store only the texture info, the heightmap and the 2 alphamaps, calculate all the other things at the runtime only when that terrain is needed. Store this data and sent it to the shaders when the render time comes. How can I repair this problem ? I'm new here and programming in OpenGL as well. Guns that shoot underwater? The sub-surface firefights in Call of Duty: Ghosts might require a huge suspension of disbelief, but the technology itself is very real, and has been since the '70s. Creating a very simple multiplayer game. I made an online chat program with SFML on Windows 7 and I am trying to distribute it to my friends who also have Windows 7. I included the executable and msvcr110.dll but I'm getting the error "MSVCR110.dll is either not designed to run on Windows or it contains an error. Try installing the program again..."
on windows/directx i have XMMATRIX. on ios i have GLKit and GLKMATRIX. i can't seem to find a hardware accelerated matrix library (for example on armv7 uses NEON extension for matrix multiply) for android that i can use on the C++/NDK side. anyone have any recommendations? Brute Force Perfect Hash with GPU? Any brute force Multiply-Add-Shift lib to calculate a perfect hash for ~50 unqiue integers? I can Multiply-Shift on the CPU but throwing the other unknown in just slows it down too much. gperf works well but I'd like something with fewer lookup tables. I'm grabbing the Cuda SDK/Thrust tonite. Using the message loop in another source file? So after learning a bit about DirectX, I understand that most of what goes on happens inside the message loop. Is there any way to take everything inside the message loop and reference it to another file? I would rather not have all my game code crumpled up into one source file. 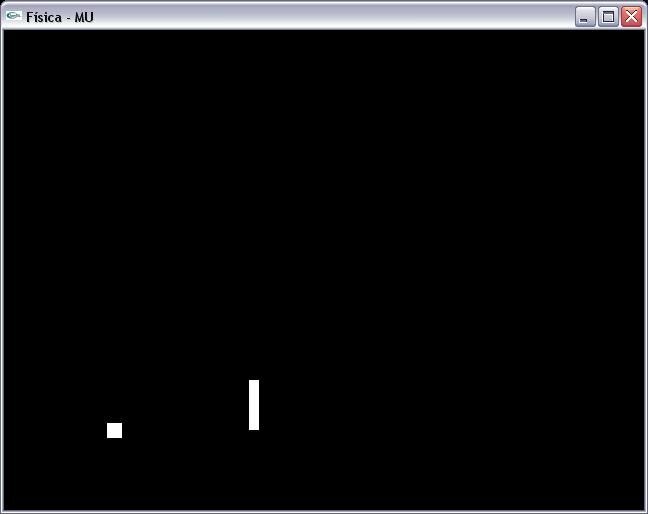 I tried creating a function, void Game(), which is called within the message loop. I declared it in a header file, and defined it in another source file that had the same #includes as the main source file. However, any of the creation, drawing, and present commands are unrecognized. I'm guessing it's referencing something within WinMain(). I have already asked ,what tutorials should I use to learn Directx .Answer was rastertek,cuz his tutorials are the best . I'm not a dumb person,but I really can't understand even tutorial number 2, almost everything is new for me ,and there is only a little explanation. Also ,he doesn't give any tips,how one,or another, line could be changed - just the main facts. So,anyone have branzarsoft account which I can borrow to download every project,or any tips?And.. I was categorically NO against books ,but now I don't know,maybe I should try some free book?I really want to learn directx! Just starting out in this programming adventure, and I've run into a problem already with my getline function and else if. So, I'm not sure what's wrong with the code. That I want to store in an array somehow, or be able to store the values of the string in 3 seperate arrays. With these arrays, I'm going to create a map of blocks. I don't know how to set these values though. The x array will be the number of rows, so in this case it will be 5. Eventually I will have bigger maps so I'd need to somehow read the number of lines in the string. Would it make more sense to store each value in a 3 dimensional array? If I could do that, each value will be something like (3, 1, 2) for the third row and second column with the value 1? How would I do this? Am I right that client-server lockstep would require commands to be executed 4 turns (800ms) after they were issued?